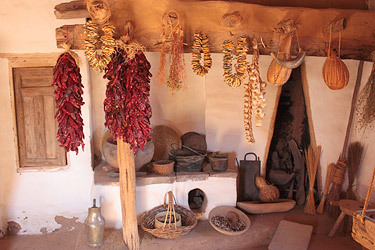 El Rancho de las Golondrinas (the ranch of the Swallows) is a unique Santa Fe tourist attraction for many of the guests at Casa Escondida Bed & Breakfast. 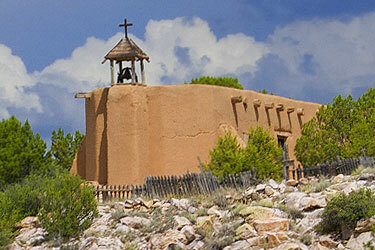 Casa Escondida B&B provides wonderful lodging accommodations for your New Mexico vacation. We are a Santa Fe area bed and breakfast, located in historic Chimayo, NM (just 35 minutes north of Santa Fe, on the High Road to Taos). When El Rancho de las Golondrinas was originally founded over 300 years ago, it was a stop on El Camino Real (the Royal Road to Mexico City…a well-traveled trade route). 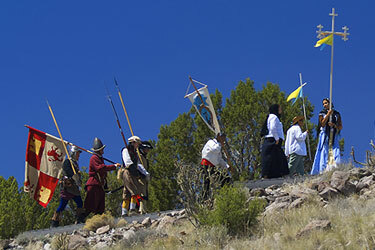 Today, Las Golondrinas is a living history museum. This 200 acre ranch features restored original buildings, authentic reconstructed buildings as well as, historic buildings that have been relocated from other sites. You can explore the 1800’s home, historic outbuildings, the blacksmith shop, the schoolhouse, the chapel and even a working, water-powered mill and more! 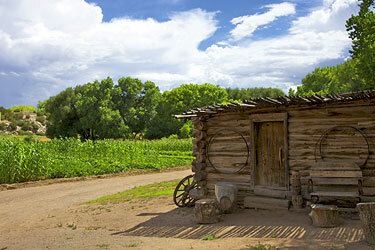 El Rancho de las Golondrinas is open for self-guided tours June – September and guided tours April – October. 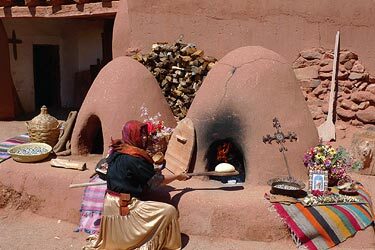 However, it is their Santa Fe festivals, events and classes that attract the largest number of visitors. 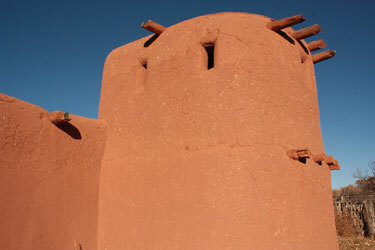 The 2013 festival season starts with the “Civil War New Mexico” event that is May 4th & 5th, 2013. This is a thrilling civil war reenactment (complete with real horses and cannons) that includes military drills, camp life, lectures and demonstrations. Then on May 18th & 19th, it is the “Santa Fe Fiber Arts Festival”. From fuzzy sheep to fancy embroidered blankets, you can see and learn how New Mexico textiles are made. You can also purchase fiber arts and supplies and learn about weaving from the experts. On June 1st & 2nd, bring the entire family and enjoy the “Spring Festival & Children’s Fair” where there will be costumed villagers, sheep shearing, bread baking bread, animals, games and more! June 22nd & 23rd is the “Herb & Lavender Fair”. There will be herb garden tours, lavender and herb product vendors, lectures on cultivating lavender and lots of hands-on activities. On July 6th & 7th come sample the best of New Mexico wines at the “Santa Fe Wine Festival“. Taste and buy terrific New Mexico wines directly from the vintners, while enjoying great food, live music and arts & crafts. On July 20th & 21st, it’s the “Viva Mexico Celebration”. Celebrate the music, art, food and culture of Mexico! On August 3rd & 4th, take in the “Summer Festival and Territorial Law & Order”, where mountain men and women will be demonstrating their pioneering skills and spinning tales of the past. On August 24th & 25th you can practice and learn outdoor skills such as building shelters, starting fires, using bows and arrows and more at the “Survival: New Mexico” event. On August 31st & September 1st, it is the “Fiesta de los Niños: A Children’s Celebration”. There will be games, crafts and entertainment for the whole family. September 21st & 22nd is the “Santa Fe Renaissance Fair” where you can experience medieval combat, jugglers, dancers, games, food and more. 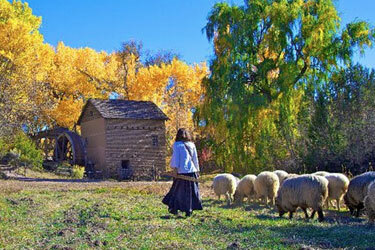 The 2013 season at El Rancho de las Golondrians concludes with the “Harvest Festival” on October 5th & 6th. Come help bring in the harvest with the villagers as they crush grapes for wine, string chile ristras, make tortillas, bake fresh bread and much more! This is the most popular community celebration of the year. Admission for each event is only $8 for adults; $5 for Seniors (62 +) and teens (13 – 18) and remember that children 12 years of age and younger are always FREE! A real bargain for your New Mexico getaway. So when you wonder what types of things there are to do in Santa Fe, be sure to put El Rancho de las Golondrinas on your list! It is perfect for your Santa Fe family vacation. Casa Escondida Bed & Breakfast has wonderful guest rooms available throughout the festival season. We look forward to having you as our guest.